Spinal surgery is sometimes performed to remove a herniated disc. If more than one disc is removed the spine can become unstable, and a procedure to fuse the spine together is needed. The spine can be fused with with bone and plates, rods, or special metal cages. 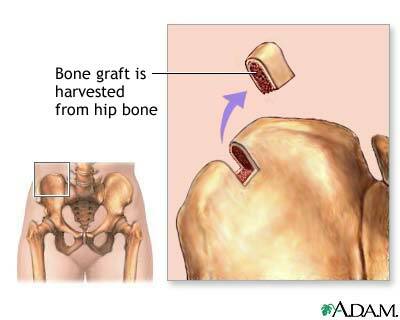 The bone may be taken from the patient's body, usually from the hip.